This past summer I had the wonderful opportunity to live, study, and work in Dortmund, Germany through the Ruhr Fellowship. 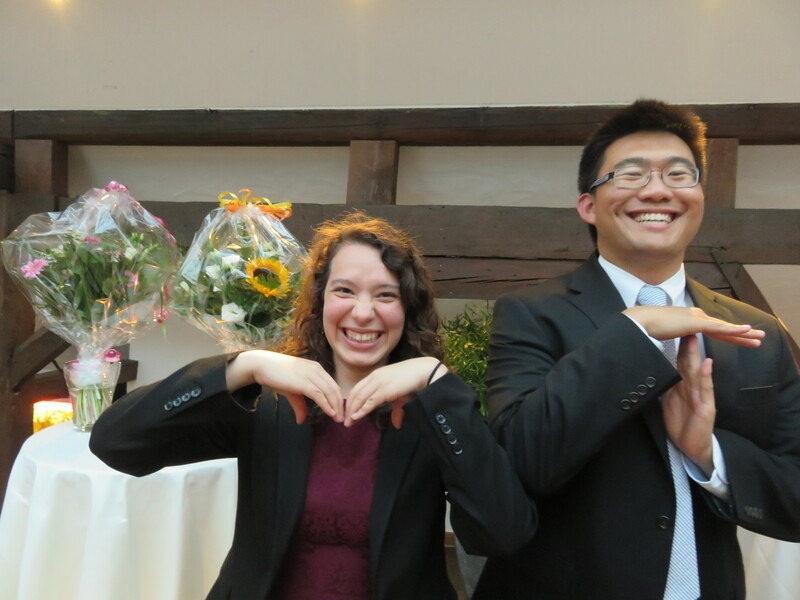 The Ruhr Fellowship is a program sponsored by the Initiativkreis Ruhr that selects students from Penn, Princeton, Harvard, MIT, and Berkeley to spend two months in the Ruhr Region, or Ruhrgebiet of Germany. The program is split into two parts; the first month consists of classes at one of the universities, in my case TU Dortmund, along with cultural and business excursions, while the second month consists of an internship. I had wanted to visit Germany since a young age since I am a huge fan of their national soccer team and soccer league. Germany also seemed like a good fit for my studies. 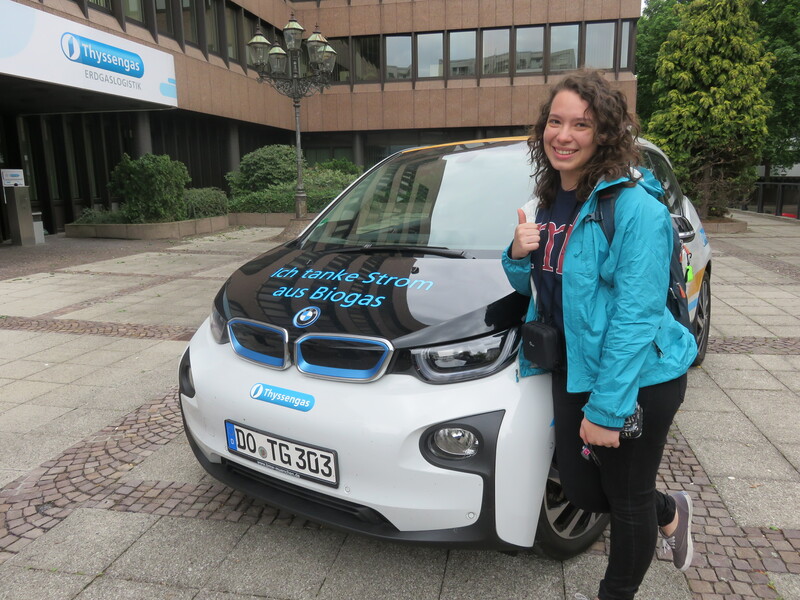 Germany is known for great engineering, efficiency, and its thriving economy and is an ideal country for an M&T student. Yet, the Ruhrgebiet offers its own unique culture that differs from the rest of the country. Historically, the region was the industrial powerhouse of not only Germany, but also all of Europe. The region thrived through coalmines and steel plants. It was the region of blue collared workers. Recently though, the region is undergoing change as much of the industry is shutting down. In fact, the coalmines are set to close in the year 2018. In our linking course Management of Technology (MGMT 237), M&T’s learn how to deal with technological changes within a business and industry. While in the Ruhrgebiet, I was able to see how an entire region dealt with technological changes. In the program, we visited major businesses throughout the area to learn about how they have embraced new technologies to prepare for the future, such as RWE’s superconductor cable. We also visited multiple research facilities at universities and observed that much academic research focuses on improving processes within industry. Along with moving forward in the face of change, the region elegantly embraces its industrial past. Rather than letting old industrial plants grow rust, they have been transformed into cultural centers. During the second month, I worked for Thyssengas GmbH, a natural gas logistics company, in the business strategy and corporate development department. While working, I was able to observe many of the concepts that I learn about in my Wharton classes from strategy creation and implementation to mergers and acquisitions to outsourcing decisions. To support my technical background and increase my understanding of the natural gas business, I visited compressor and storage stations.. As a personal project, I researched and gave a presentation about the United States natural gas distribution. Since natural gas distribution is a regulated industry, I was also able to learn about how the German government and EU functions and plays a role in business decisions and how that compares to the regulation in the USA. Additionally, I was able to experience “German efficiency” firsthand while attending meetings. The meetings all had a purpose and agenda that was followed. Meetings rarely went overtime; Germans follow their schedule. My coworkers would go to lunch at the cafeteria and to the coffee maker at the same time each day. They are able to accomplish all their work, yet still have time to take long holidays. In addition to the educational and professional experiences, the program allowed me to immerse myself in a new culture. I took the train, shopped at grocery stores, and relaxed like a local. Some of my favorite moments from the summer included conversations with my internship advisor and fellow coworkers about German politics, current events, and social customs. I also traveled to surrounding areas most weekends, so I was able to observe cultural differences between Dortmund and other European countries and cities. Often, I would talk to fellow travelers to learn about their countries. Overall, my entire experience in the Ruhr Fellowship was academically and culturally enriching. I was able to leave the Ruhr Region with a better understanding of German and European culture as well as grow as a person. All in all, the Ruhr Fellowship provided me with a valuable once in a lifetime experience that I will never forget and that I would highly recommend to any student. Wanda, from Columbia, Maryland, is a member of the M&T Class of 2017. She studies Mechanical Engineering and Applied Mechanics within Penn Engineering and has yet to declare her concentration in the Wharton School.